As a website owner, in order to get your site live on the internet, you will have to choose a quality web hosting provider. This is unless of course you have your own server, which many web owners don’t have. Web hosting involves, oversimplifying, having all of your web files and data placed on a very large and powerful server that can then emit all of that data from your website, so that it is viewable across the web. 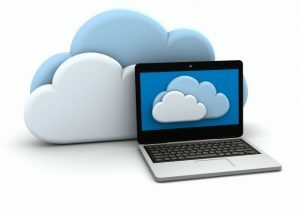 There are many different types of hosting that you can choose from and one of this is Cloud hosting. The way you have to look at Cloud hosting is that it is a service and not a product. The basics of Cloud hosting is that you are able to utilize this service by using as much as you need – which will be depending on the demands of your website. By doing this you only have to pay for what you are actually using. For those that understand regular hosting which is usually on single servers, Cloud hosting is like an extension of this. Cloud servers will act as a network from which the information that is being put live from many different data centers (in a variety of different locations) is pulled. This kind of hosting can be broken down into two categories, where one is the infrastructure used as a service and the other is a platform service. For those that are using the infrastructure, you are offered the virtualization of a hardware resource where you can utilize your own software before you actually build your website. When you are using a platform, you are provided with the software needed and you are then able to install and build your own website. If you have limited understanding of the hosting concept, then you are probably better to go with the platform service. The most important thing to you as a web owner that is looking for a hosting service and is considering going with Cloud hosting is what the benefits are to this choice. One of the most important factors when choosing your hosting program is usually the costs associated, although that shouldn’t be your only deciding factor. When you are using Cloud hosting you are only going to be paying for what you are actually going to use. With Cloud hosting you are working in real time, and you are not going to be limited to what being on one server would be able to offer you. This is in regards to the limitations of a standard hosting server. So, for example, if you have a website that increases in traffic dramatically all of a sudden, then your cloud hosting platform is going to give you the opportunity to be able to utilize the resources that are needed immediately. You would probably not get this option with standard hosting. One of the dangers with a website is that if it happens to go viral, the traffic can be increased within a matter of minutes or hours and your hosting service has to be able to accommodate this. The advantages of using Cloud hosting is that it is much more reliable due to the fact that it has an extensive network of physical servers that it can draw from. Most often, if one server happens to go down then it doesn’t have a dramatic effect on Cloud hosting, as it can resort to the other networks that are supporting it.